Country: USA Wingspan: 35' 3"
Year: 1932 Length: 22' 3"
Horsepower: 37 Gross Weight: 970 lbs. Designed in 1930 by C.G. 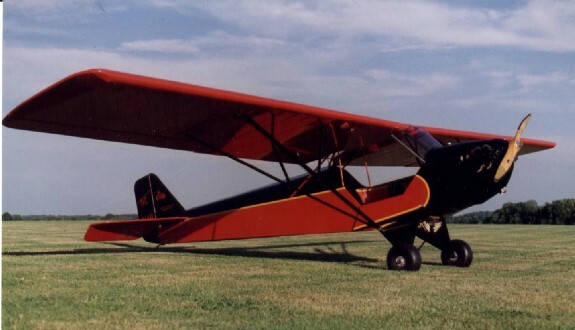 Taylor and advertised as "America's safe airplane", the E-2 Cub was the first one in a long line of aircraft models to carry the "Cub" name. The Taylor Aircraft Corporation, which later became Piper Aircraft Corporation, produced this airplane in 1932 as serial number 54. The E-2 was acquired in 1991 after fifty years in storage. The restoration to original condition was completed over a three-year period. This airplane is one of the oldest of the few E-2s known to exist today.